Why I love my 'Local' Spices....FRESH! I want to share something that i love so much with you today. Its 'local spices' Naija spices. I love spices in general, i cant do without really really spicing my food. I just love to feel good as i cook, that's what makes me enjoy food so much. Lol! See the way i'm talking about food, God help me. #foodie Haahahahaha! Do you feel the same way? I love the aroma of these spices when i blend them. 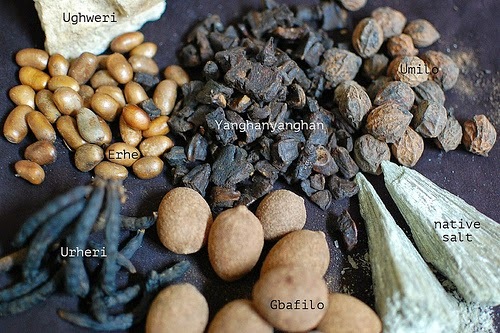 These local spices have great medicinal benefits aside from just flavoring our meals. I will give you a few that i know their names. There are many of them, some i cant remember their native names (that my spice lady told me). The botanical names na war so i just don't bother. Lol. Please if you know their names kindly share. 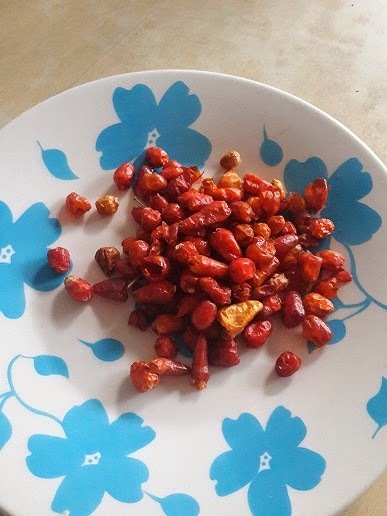 Dry pepper. I grind mine at home also. 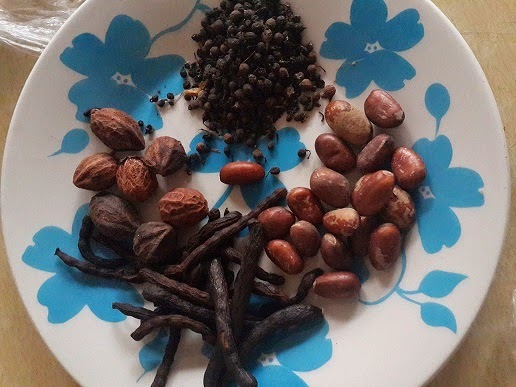 The essence of this post is to enlighten us on the use and freshness of these spices. 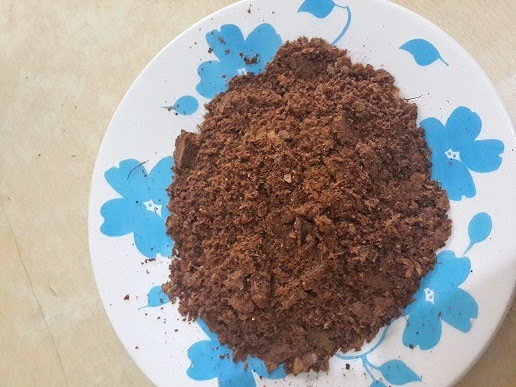 Many of us are fund of buying already prepared (ground) spices from the market. I am guilty too but, since i discovered that i could buy them whole and grind myself (in my kitchen) i stopped buying "ready-made". BENEFITS OF BUYING THEM FRESH: The difference is clear trust me. The one you grind yourself is fresher, stronger, tastier and more active. It is more potent. Most of this spices are really good for the body and even aid in weight loss. Because they flush out toxin from the body...hence our mums give us soup made with these spices after childbirth. They have a longer shelf life when you buy then fresh. You are sure of what you are eating. (Lets say, the spice seller blended saw-dust inside!!!) Choi!! Yikeess!! Even when i dont have 'scent leaves' i make my soup like that. The spices do all the work. I break the shells of the ones that need to be broken e.g the Ulima and gbafilo. I grind them up together in the same portions. I pack in an airtight container, and store in the fridge. So guys, buy your spices whole, break and prep them in your kitchen then store in the freezer or shelf. You can do so with other spices like ginger, cinnamon, Cameroon pepper etc. Start buying fresh today, and start enjoying the floral, nutty and heart warming and healing flavors. All the best and God bless. Photo Credit: kitchenbutterfly.com , Cheliz kitchen. Dear cheliz, I just noticed sagging skin on my arms, and I was aghast to say the least. Pls which arm and thigh exercises can u recommend to firm up that I can do on my own at home. Thank you and God bless. Hahahaha! Abbie, u got me laughing real hard. There are so many workouts you can do at home. Pls check my archives on the blog for arm exercises and lower body exercises. Thanks dear. God bless you too. 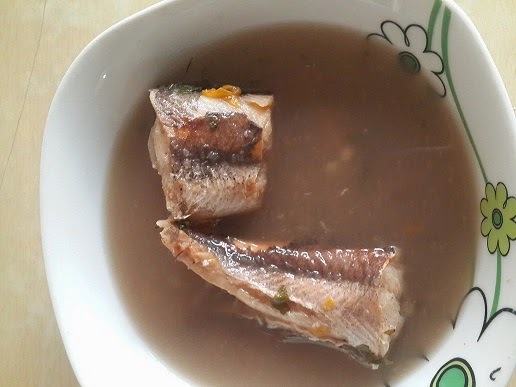 Pls my question is, what kind of fish is on your pic? Hi Zinny, its white Cod. Same as 'Panla' fish. Thanks. Hey Saint zizee. Hmmmmm, you can get it, but try Order a meal plan and get all the recipes you want and more. Lol. *runs away* Thanks dear.